The Lost Girls » Blog Archive » The Lost Girls book is now on shelves! 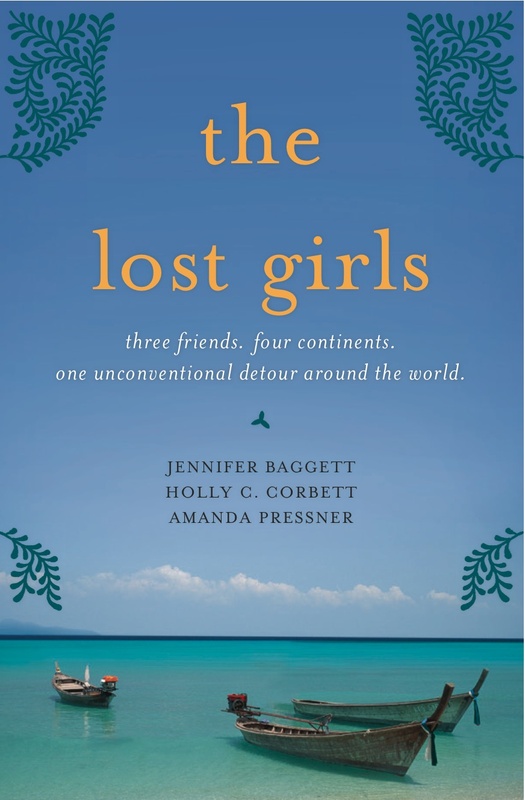 The Lost Girls > Lost Girls > Featured > The Lost Girls book is now on shelves! We can’t believe it…the day is finally here! Our book The Lost Girls: Three Friends. Four Continents. One Unconventional Detour Around the World officially hit shelves today at 12:01 am (well, somewhere around that time), and we couldn’t be more thrilled. Now, you can walk into any major bookstore and grab your copy, but if you’d like to order directly from us at a discount, click here. Proceeds from these sales will benefit Village Volunteers’ Butterfly Project, which provides scholarships to young women in Kenya. This is a red letter day for The Lost Girls, not only because our book is now on sale, but that the story of our adventures on the road is a cover feature in the Life section of USA Today! A big thanks to the paper’s books editor Bob Minzenheimer, for writing up such a killer piece! The Lost Girls was chosen by New York Post editor Billy Heller as one of five “Required Reading” books for May. On April 29th, USA Today named The Lost Girls as one of its Top 10 book picks for May! 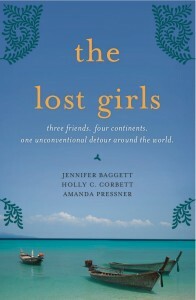 The Lost Girls will be appear on the CBS Early show on May 20th to discuss the book and our round-the-world adventure. We hope that you enjoy The Lost Girls! Please send us your comments, thoughts and feedback. And thanks SO much for reading!! The 2008 Weblog Awards: Vote for The Lost Girls! Back when I was planning my RTW trip, I read all of the archives of your blog. I am a month into my trip now. I needed new reading material, and I was excited to see the book available for the Kindle. Can’t wait to dive in! Fantastic story, congratulations. Check out http://www.thousandmilejourney.com.au for my open letter to you! Can’t wait to hear about what happens next! I was sad to miss your signing at Borders in Columbus Circle. Will you be signing anywhere else in the city soon? I can’t wait to read the book! I sent in my receipt but never head, did you ever pick a winner for your dinner? I have been previously scouting for a little bit for that fine articles or blog posts with reference to this particular point . Checking out in Bing I eventually identified this site. Seeing this information So i’m thrilled to mention that I have a good sense I ran across whatever I wanted. I’ll make sure to remember this blog and take a visit consistently. I unquestionably understand what you have said. In reality, I browsed through your additional posts and I think you are completely correct. Great job with this particular online site. hello!,I like your writing so so much! percentage we be in contact more approximately your article on AOL? I require an expert on this house to unravel my problem. May be that’s you! Looking forward to look you.